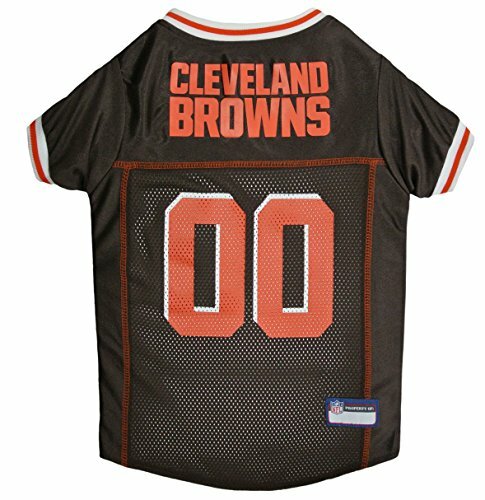 Get ready for some FOOTBALL with a jersey that includes printed TEAM NAME, LOGO and NUMBERS and a woven NFL shield. To choose the correct size: Measure your pet from the nape of the neck to the base of the tail and follow the illustrated size chart located under the item's picture! * Working with the latest technology, our creative designers choose from the highest quality materials to provide durable, unique and innovative pet merchandise. Our factories follow the highest standards of safety guidelines to ensure your pets’ security, while providing a long-lasting product.